One fence panel and one intemediate/end fence post complete with fittings. Additional fence posts can be purchased separately if required. 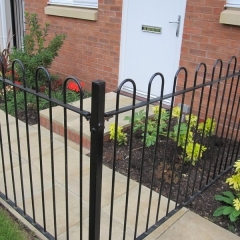 We can also supply gates to match the railings system. Please contact the store directly for delivery charges or any further information you require to purchase this product on 01204 578012.